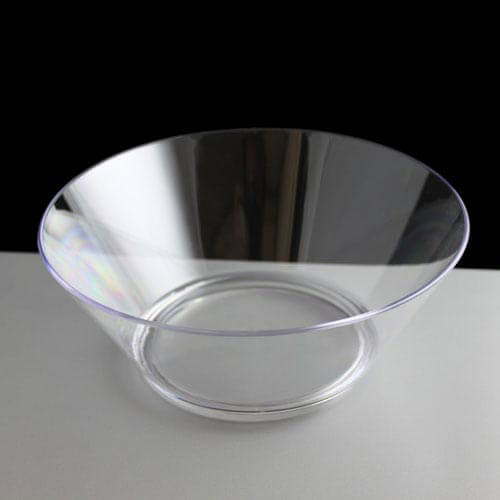 A small reusable clear plastic serving bowl made from virtually unbreakable polycarbonate plastic. Total capacity is 62oz or just over 3 pints, this product is safe to use in the dishwasher. Click for some paper nakins or wooden cutlery. Feedback for Small Clear Plastic Serving Bowl - Required: Box of 6 has been compiled from 0 reviews.